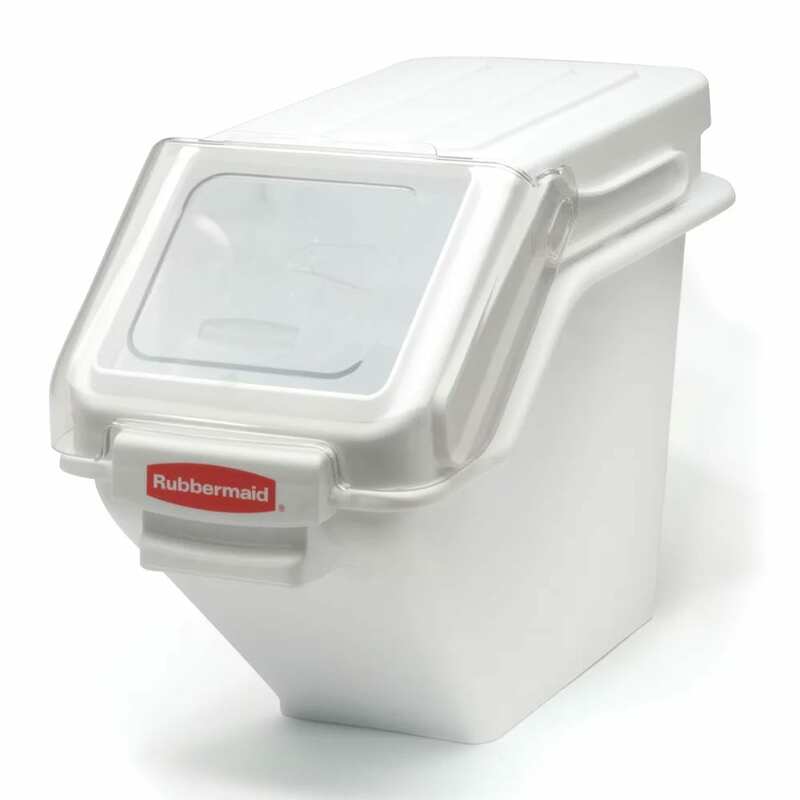 The Rubbermaid FG9G5700WHT ProSave™ safety storage bin keeps product safe from contaminates and ready for use. 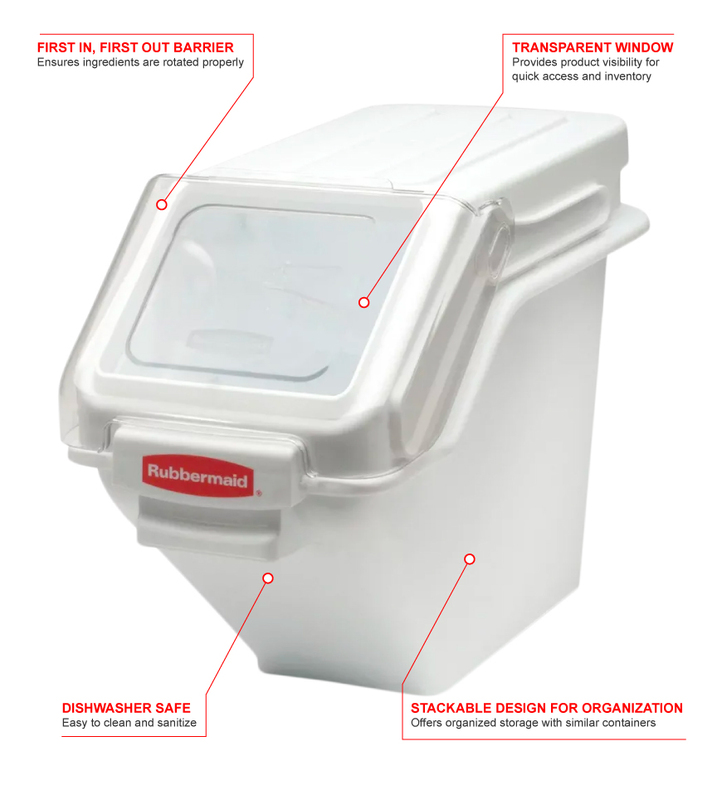 The design of the bin allows it to be stacked with other bins for compact and organized storage. With a window on the lid, product is easy to identify for preparing dishes and inventory. The Rubbermaid FG9G5700WHT ProSave safety storage bin’s lid is designed to open with one hand for quick and easy access to ingredients. Since there is a first in, first out barrier, product is rotated properly. There is a capacity of 100 cups and a 2-cup measuring cup is included for scooping exact amounts. "Exactly what I wanted. Very good product." Perfect product..exactly what I wanted.